The friendly voice you hear when calling the main office of Pyr-Tech belongs to our very own Mrs. Robin McKee. She comes to Pyr-Tech with many years of administrative experience. 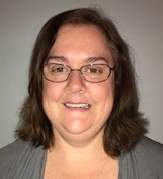 Robin runs the day-to-day office operations and facilitates communication between our clients and our experts, ensures accuracy of all records and reports, and is happy to assist our clients with anything they need. She also helps to alleviate the administrative workload so Pyr-Tech's experts can focus on the clients' needs.